In a bombshell development, the former head of Israel's Communications Ministry has agreed to turn state's witness in one of several ongoing corruption investigations against Prime Minister Bibi Netanyahu, local media reports. Schlomo Filber - appointed by Netanyahu to head the Communications Ministry, finalized the agreement to testify against his former boss in a Tuesday night agreement - making him the first member of the Prime Minister's inner circle to testify against the Israeli leader. Filber was arrested on Sunday on suspicion of bribery, fraud, breach of trust and obstruction of justice in connection with an investigation into ties between Israel's largest telecom company, Bezeq, and senior government officials. Filber is suspected of granting financial and other benefits to Shaul Elovich, who owns a controlling interest in Bezeq, in exchange for favorable coverage towards Mr. Netanyahu and his wife, Sara on the Walla news website. As part of the agreement made late Tuesday night, Filber offered police a detailed account of everything he knows about Netanyahu's part in the so-called Case 4000, as well as others involved in the affair. According to the deal, Filber will not receive jail time. 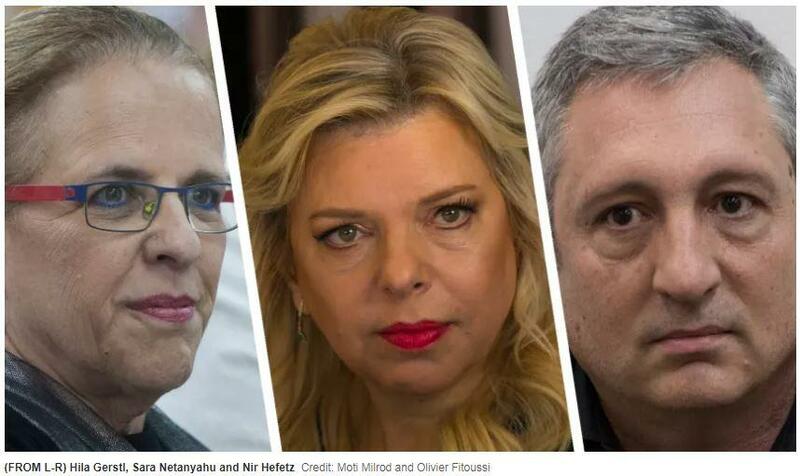 Bibi and Sara Netanyahu have been embroiled in several ongoing corruption investigations, with some of the Prime Minister's critics claiming he is now a political corpse. Netanyahu ousted the former Director of the Communications Ministry, General Avi Berger - replaceing him with Filber, who had been a close confidant for years. 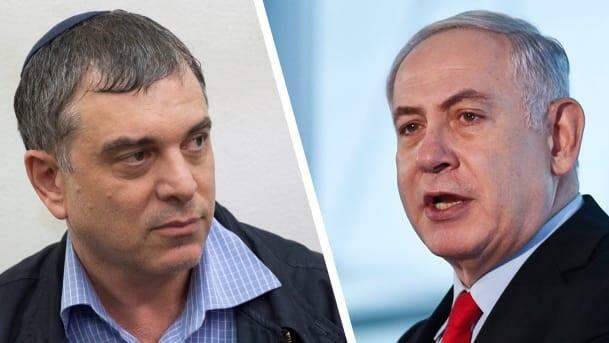 On his first day in office, Filber met with Elovich where the two were said to have reached a mutual understanding over the relationship between Bezeq and the Netanyahu administration. After the matter was investigated by the State Comptroller, Filber was considered a de-facto agent of Bezeq within the ministry. While under investigation by the Securities Authority in August of last year, Filber said he wouldn't testify against Netanyahu - and told Channel 2 News that the Prime Minister had "never talked to him" about discussing positive news coverage with Bezeq. "The subject never came up in our conversations." Investigators subsequently recommended Filber for prosecution. As part of his deal to turn state's witness, he is likely to testify that he was "simply following orders" from his old pal Bibi. In a second claim against Netanyahu, the Prime Minister is suspected of offering the position of Attorney General to a retired judge in return for her expeditious closing of the case against his wife, Sara Netanyahu, in which she is accused of improprieties over household expenses at their official residence. Netanyahu is accused of offering the job to retired Israeli judge Hila Gerstl through an intermediary, Nir Hefetz - a former personal spokesman for the Netanyahus. The case has been ongoing for several years, with details of Hefetz's involvement revealed on Tuesday over the alleged attempt to shut it down. “What has happened over the last two days is simply that the world has gone mad. It’s a scandal," said Netanyahu. "They’ve brought two delusional, false allegations as part of a campaign of persecution against me and my family that has been going on for years already." “First, regarding Bezeq: All decisions on Bezeq were made by professional committees, by the professionals, under close legal supervision. There’s no Wild West here. There are no private decisions. All decisions are transparent and subject to oversight. Therefore, the claim that I worked to benefit Bezeq at the expense of substantive considerations is simply and fundamentally absurd. Some have suspected that Netanyahu will now call a snap election in the next few months to try and stall the legal proceedings, however Haretz reports that it's unlikely he'll be the head of the Likud party by the time they would occur - and even less likely that he would win.